The original release of this prototype was several years ago, but I have only now just got around to looking at it. 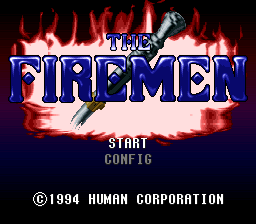 The Firemen is a pretty fun action game, though quite short and easy. 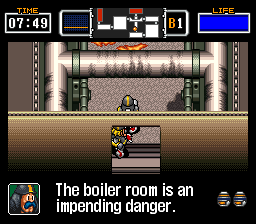 The prototype is a nearly complete version of the game, with a fairly rough English script. Since it is NTSC, most have assumed it was a US prototype, but I have yet to find any indication that Human found a publisher to bring it to that region. As such, I believe it is likely a prototype of the PAL version of the game, but it had not yet been converted to that video format.